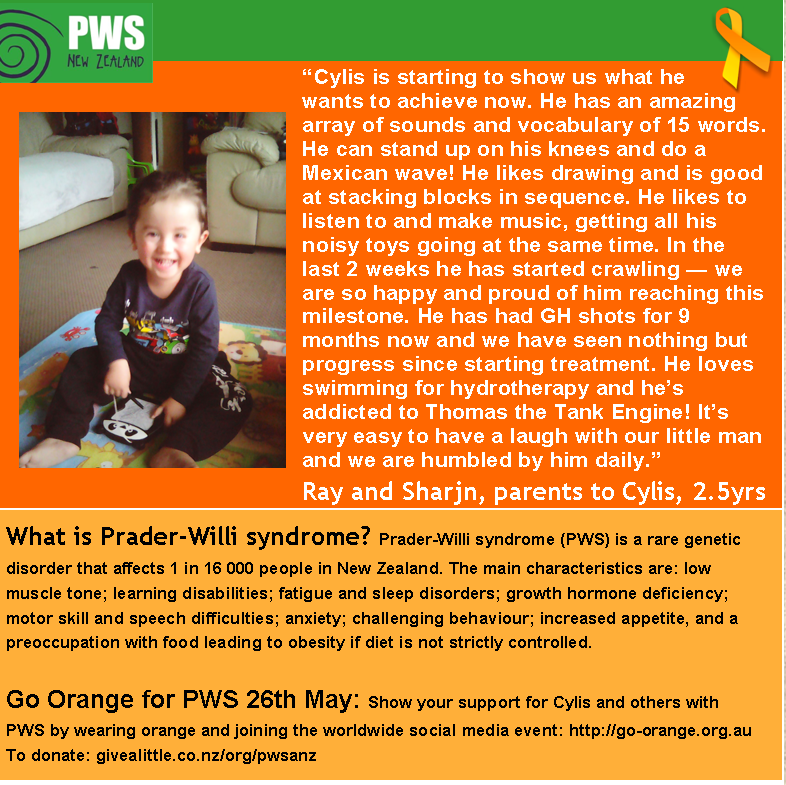 BlogHome » May is PWS Awareness Month! 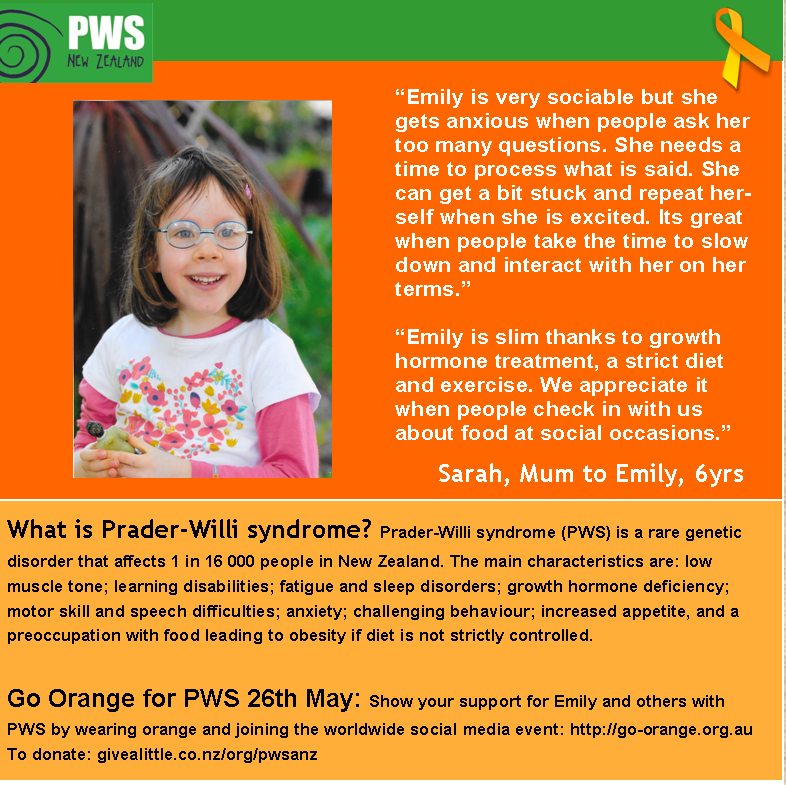 May is international PWS Awareness Month. Each year we focus on spreading awareness during May with the belief that awareness leads to increased understanding and acceptance. There are lots of ways you can spread awareness – you may want to put up some posters at a workplace or school, hold a Go Orange themed day, share information posts on social media, pass on information in other ways or host a fundraising event. The PWSA(NZ) has awareness packs available containing posters, ribbons and wristbands. Please see our Awareness and Fundraising Resources page to order. 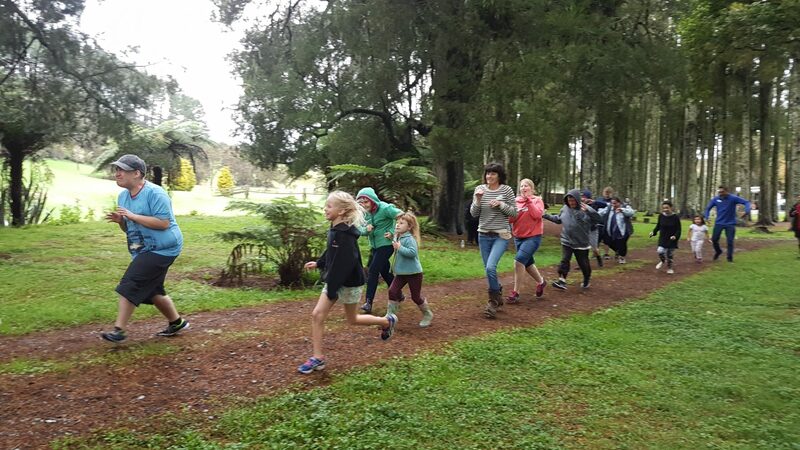 If you wanted to fundraise, we have two Givealittle pages available, one to support the work of the PWSA(NZ) and one to support the research projects of FPWR. 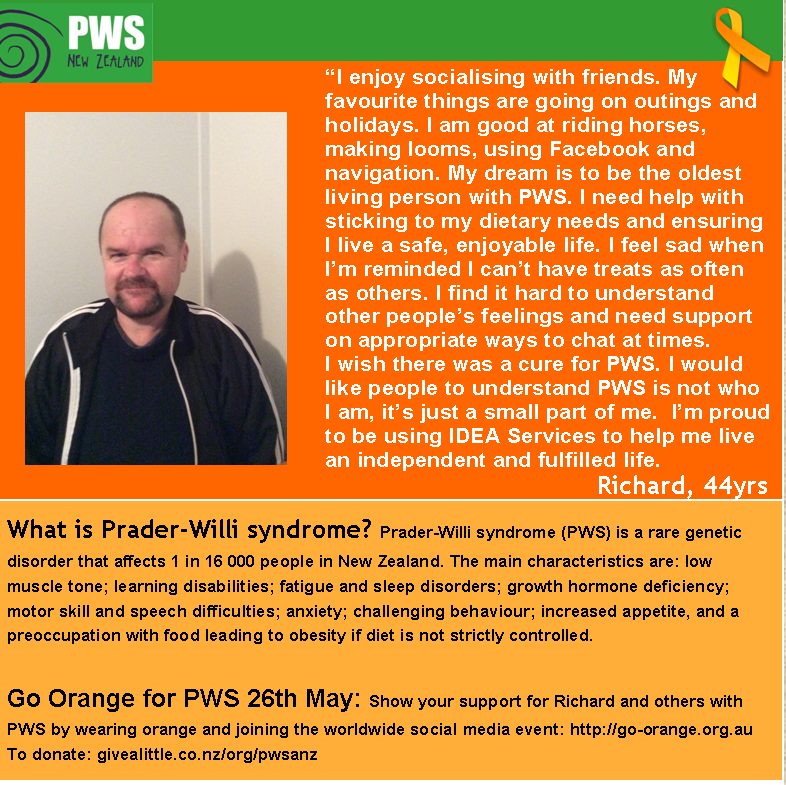 Please also consider helping us with our social media campaign profiling people who have PWS in New Zealand. 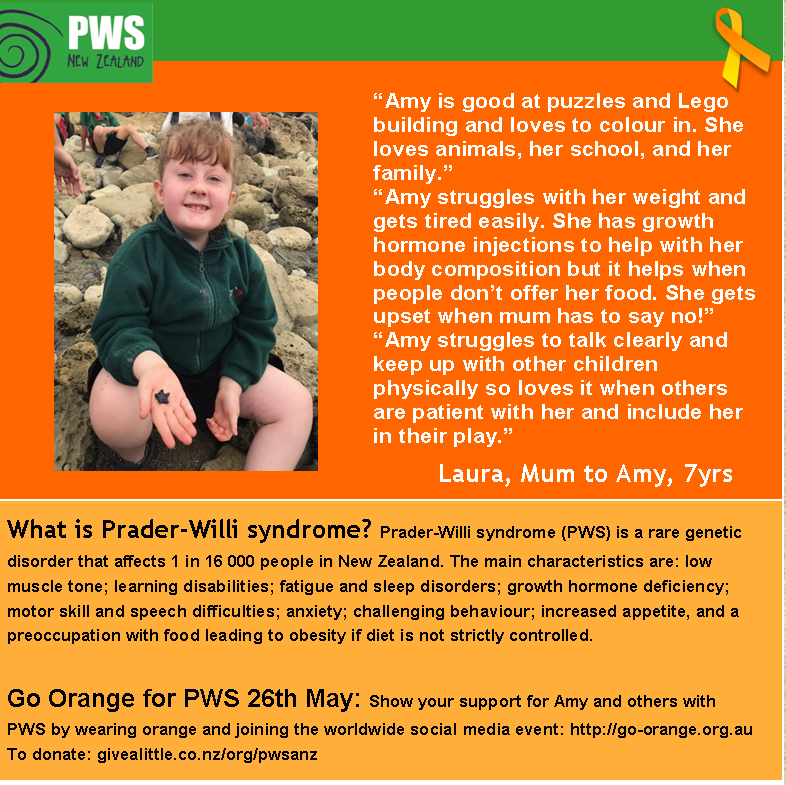 We have a template available for members to share their experiences with PWS and these images had the most reach and raised more awareness than any of our other posts on our Facebook page last year! Just send us a photo and the words you have in mind – or give us a call and we’ll write the words together. Some examples of these social media stories can be found below. 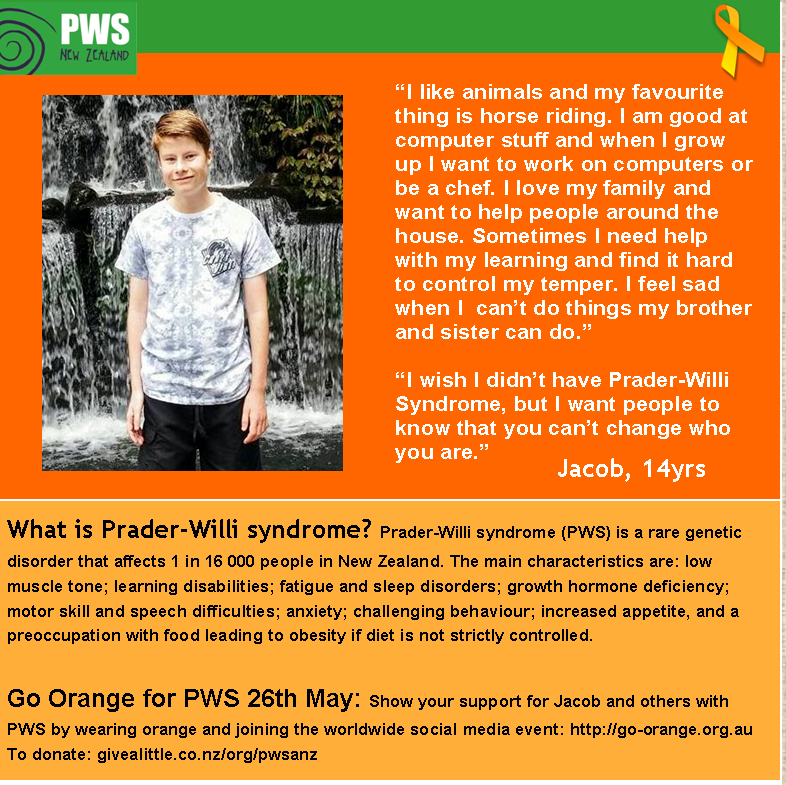 Don’t forget to check out the Go Orange website for LOTS of ideas of how to go orange if you’re looking for different ways to celebrate Go Orange for PWS Day on May 25th! 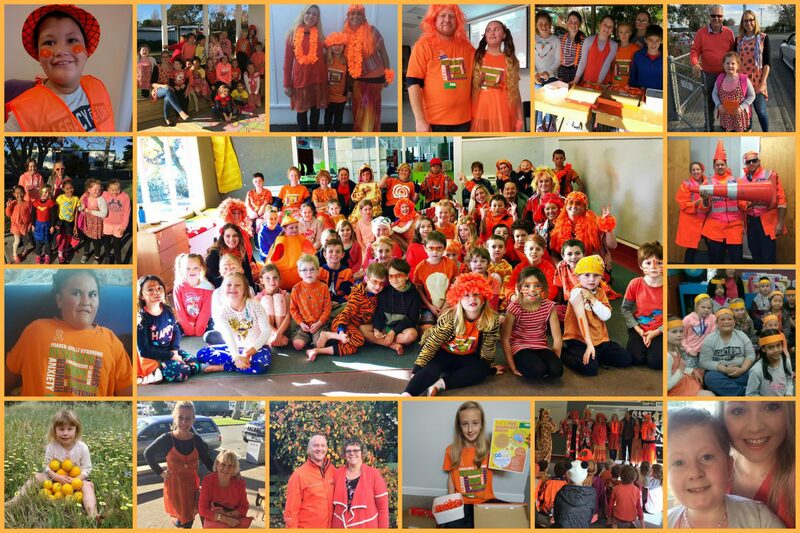 The picture above shows New Zealanders having fun ‘going orange’ in 2017!